MasterCoach is a trainer and educator certification program aimed at 21st century facilitation skills, social capital and professional growth for trainers and educators. With MasterCoach, trainers can now build stronger social capital within India’s training and education sector learning from new trends, concepts, tools, consistent feedback and upskilling for 21st century classrooms. MasterCoach aims to build the capacity of a trainer or teacher transforming them into change agents who positively influence and enrich a student’s life. We aim to impact 500 trainers by 2020, equipping them to transform the way young people learn and create a shift in the learning processes inside classrooms. We strongly believe that thriving educators and trainers can create thriving classrooms that are learner centric and set young people for greater success in life. Built on the power of online learning, MasterCoach is a planned journey for an educator and trainer, offering them flexibility to learn at their own pace. 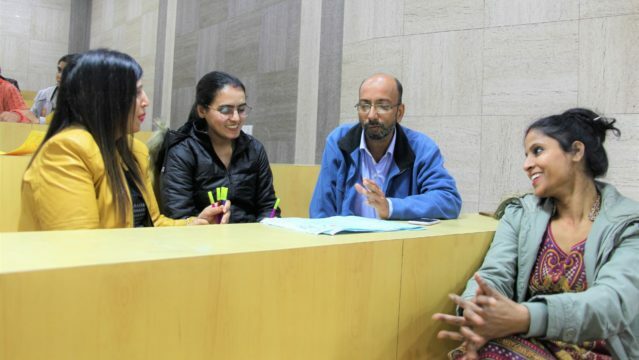 The course is built using principles of experiential learning and design thinking, inviting participants to understand themselves, build stronger relationship with learners and students and explore various dimensions of facilitation. The learning trajectory is a fun, meaningful and creative combination using quizzes, discussion forums, puzzles, essays, videos, photos, assignments, milestones and recognition, all this delivered in basic English. MasterCoach is built for 3 levels of engagement – Foundational, Exploratory and Immersive – offering multiple challenges and skill levels to a participant. Each level has 4 modules, and can be completed at a learner’s pace within a 3 to four month time frame. 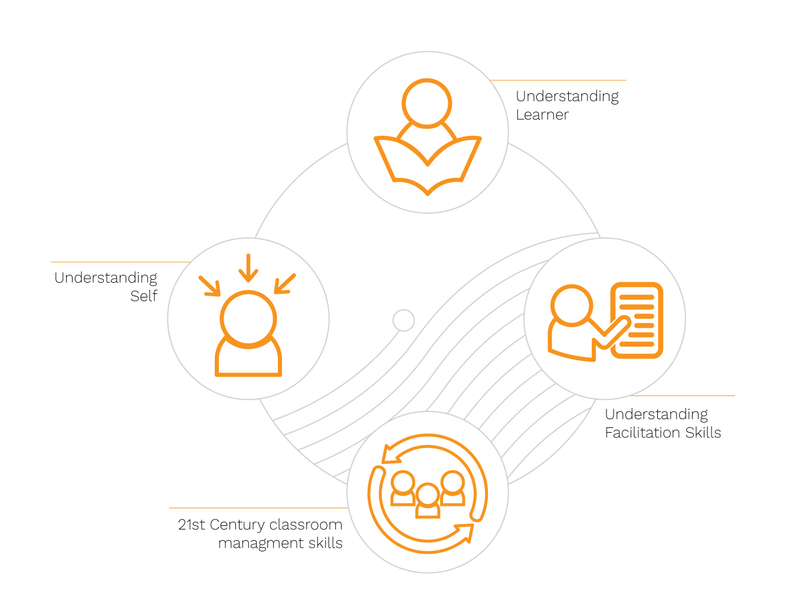 The entire learning experience comprises 4 modules – Understanding The Self, The Learner, Facilitation Skills and 21st Century Classroom Management Skills for real world application and a trainer’s social capital. The course is built using principles of experiential learning and design thinking. It invites participants to understand themselves, build stronger relationships with learners and students, and explore various dimensions of facilitation. It uses quizzes, discussion forums, puzzles, essays, videos, photos, assignments, milestones and recognition and is delivered in basic English. MasterCoach is built for 3 levels of engagement – Foundational, Exploratory and Immersive – offering multiple challenges and skill levels to a participant. Trainer Tribe, an online community, further strengthens every participant’s social network by connecting them to peers, trainers and educators across the country. The duration of the MasterCoach program is 4 – 5 months. In a world that is shifting towards online-learning and with organizations and institutions inclined towards building 21st century skills in young people, most professionals in the training and teaching sector are beginning to search for skills, exposure, and opportunity to build their own capacity to work and build a 21st century classroom. We believe our training transforms a trainer’s worldview, helping them understand students and peers. More importantly, it equips them to deliver curriculum and content inside classrooms using a blended learning approach, positively influencing student success. Combining the power of online learning, customised modules and a strong peer circle, MasterCoach aims to be a wholesome, exciting and engaging program that sharpens a trainer’s skills and gives them a professional edge. In your ongoing effort to build 21st century classrooms, by enrolling your educators in the MasterCoach program, you can now build their capacity to further succeed in your vision. To strengthen learning experiences for young adults, you can now choose a program that builds your trainer’s facilitation skills. Whether our trainer is working with children, youth, or adults, the MasterCoach online course modules stay relevant for all learning environments. In your searching for a learning experience that builds 21st century classrooms and enriches thousands of student lives using online learning, MasterCoach gives you the opportunity to connect with trainers and educators across India. We can support your social network, connecting you to peers in similar professions across the country. With MasterCoach, you can build your professional network, find mentors and engage with your peers to add a new dimension to your professional growth.